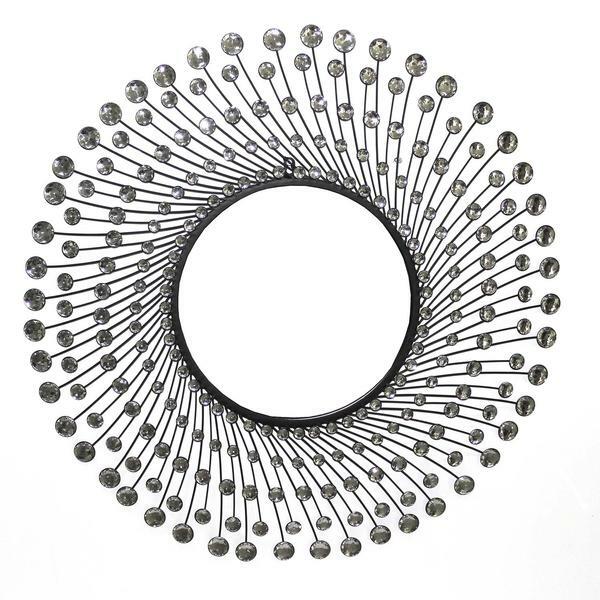 Arlington central mirror burst out with radiating acrylic crystals that give the mirror a special radiance. A perfect focal point for any design. Made from metal with a hand painted silver finish with acrylic. Customizable for larger orders.